The Global Education Week 2016 in Serbia encourages pupils and teachers as well as youth groups to explore educational activities for global citizenship. It is a matter of addressing issues of diversity and inequality at the local as well as at the global level with an understanding of the core issues of global citizenship: awareness of the wider world and of our own role as a world citizens, attitudes of respect for diversity and intercultural communication skills, ability to take action to make the world a more equitable and sustainable place and responsibility for our own actions. 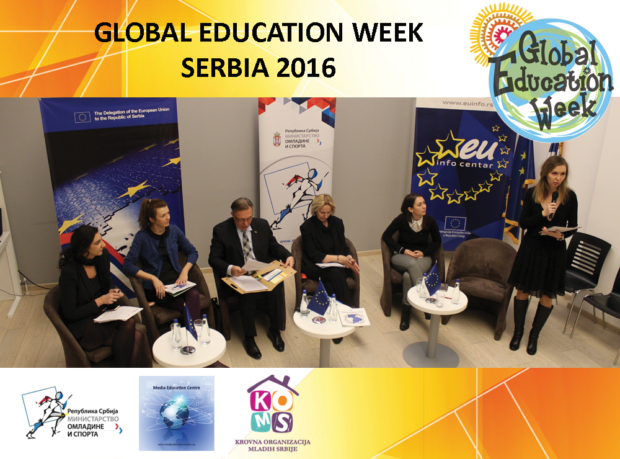 Celebration of the Global Education Week in Serbia is organized by Ministry for Youth and Sport of the Republic of Serbia, the Media Education Centre and the National Youth Council of Serbia with kind support and cooperation with EU Info Centre in Belgrade. The main idea was to create different modules and to invite and activate young people to participate in different activities promoting Global Education. We started with collection of the Awarded Films from the UN PLURAL Plus youth-produced video festival which encourages young people to explore migration, diversity and social inclusion, and to share their creative vision with the world. 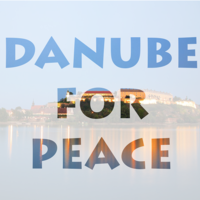 Main idea was that no one child or youngster should have to pay the cost of war, to be kept away from the classroom because of conflict. Yet whole generations of refugee children from countries like Syria, Afghanistan, Palestine and South Sudan have had to leave their homes and schools. But they do not leave their dreams of a better future for themselves and their countries, a future only possible through education. It is unacceptable that just half of refugee children have order cipro no prescription access to primary education and one quarter have access to secondary education. It is unacceptable that girls are nearly always the first to miss out. Education is every child’s basic human right. We started in EU Info Centre and repeat screening and discussion in the Art and Media Secondary School during their class of the Civil Education for the whole grades of the Students since the professors and students were especially interested in seeing the video material and discus it thereafter. 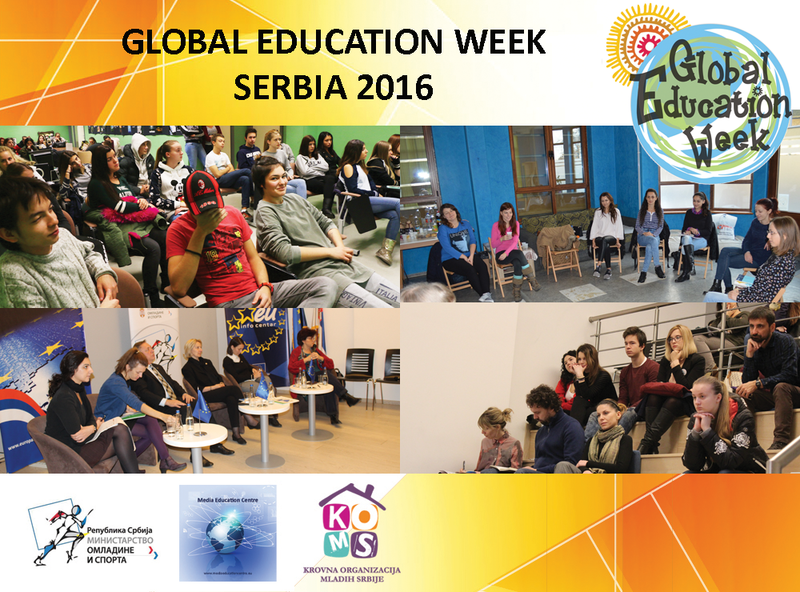 It was the great experience and the Media Education Centre will repeat screening in other schools not only in Belgrade. Second part of our GEW activities was Round Table Discussion in the EU Info Centre in Belgrade 18th of November with participation of the Ms. Snezana Klasnja, Assistant Minister for Youth (Ministry of Youth and Sports), Ms. Snezana Markovic, Assistant Minister for Secondary Education (Ministry of Education, Science and Technological Development) as well as Ms. Marijana Rodic, representative of the CYW, Mr. Miomir Rajcevic (MEC), Ms. Tatjana Nikolic from the National Youth Council and Ms. Milena Stosic, OSCE Special representative for youth and security. Main issue of the Round Table Discussion was: How much young people in Serbia knows about basic principles of the Global Education and how much those principles are important for development of the knowledge and skills for active citizenship and global citizenship. During the Round Table participants mentioned importance of different activities of the Ministry for Youth and sport and implementation of the Global Education in schools with support of the Ministry of Education. Special part of the Global Education Week in Novi Sad was Education about Violence organized by PREVENT and their trainer Ms. Jarmila Bujak Stanko. This entry was posted in From the MEC, News, Projects and Workshops by MEC-Media Education Centre. Bookmark the permalink.